Every business from a start-up through to a nation-wide enterprise dreads having to do payroll. If you’re looking to expand your firm’s menu of offered services then payroll work is an obvious and beneficial option. Your biggest selling point is that you’re going to be taking away a big chunk of extra work from the business, freeing up their time. But that of course means that all the time you’re freeing up for them gets dumped onto your plate. Outsourcing accounting can help you make sure you don’t get overwhelmed. There are 4 big selling points you can pitch to your potential clients. Payroll is scary, especially for smaller businesses that are just getting rolling. The penalties can be staggering for missed due-dates and compliance errors. So you sell the notion of stress-free (and error-free) payroll compliance. They no longer have to worry about keeping up with due-dates because you’ll be doing it for them. You’ll help them understand all the forms that come their way. If you really want to get aggressive then you can offer to pay any penalties yourself – a bonus that many of your competitors will be afraid to offer. Now the question becomes – can you keep that promise? Can you do this extra work without adding stress to your own firm? Outsourcing accounting helps you do just that. All your client has to do is confirm the hours worked by their employees. All you have to do is collate and pass on the client’s information to your overseas team. 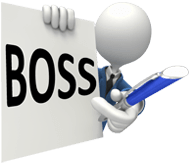 BOSS’ outsourced payroll accountants have years of experience in working on payrolls and know how to turn around a file in a proper and timely fashion. No stress for you, and no stress for your client. Outsourcing accounting means you’re going to have more time to take an overall approach to your clients’ books. Integrating payroll work into your menu of services means that businesses that start out giving you payroll work are going to want to expand the accounting they do with you. Your selling point is that the more you know about their business, the more likely you are to see potential pitfalls, red flags, and opportunities for them to grow. You’re offering them the chance to not just work with an accountant, but with an overall business consultant who will be able to help them grow. Rolling along with the idea of growth, outsourcing accounting helps you keep pace with your clients as you expand. As they grow they’re likely to add not just new employees but new job descriptions. For example, they may grow large enough to require section managers, a position they did not previously have. With new job descriptions come new payment methods and benefits. You’ll be ready and willing to help them integrate these new positions into their payroll work without any fuss. Can you think of a CEO or business owner who doesn’t wish for more hours in their day? Doing payroll on their own can take upwards of 5 hours, and that’s just for a small business. All that time spent each month on payroll can make or break a baby business, and they’ll be grateful to have that time back. Outsourcing accounting makes sure you manage to keep your own calendar under control. Adding services like payroll compliance can be a major time-sink if your firm isn’t prepared. BOSS is here to help you make sure you’re able to keep up with your new influx of clients. Our overseas team is up on all Australian and New Zealand’s legislation and regulations. We can do any accounting work you care to send our way, meaning you have more time to concentrate on liaising with your client.